How would reading about someone else answer that question? Are you sure he said this? I can find it on dozens of Islamic propaganda sites but no place else. When did he say this? No one says where or when Gandhi said this. 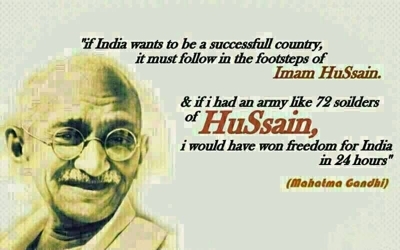 Gandhi didn’t have those 72 soldiers and neither do the anti-Zionists so who cares? This combines two quotes, one praising non-violence and the other praising warriors long dead. Neither apply. It worked for India. You don’t have those 72 soldiers either.